Users who like Lewis H. Bender, Founder/CEO, Intensity Therapeutics (IntensityTherapeutics.com); starting in his basement, Lew and his team have created unique cancer penetrating drugs that kill tumors and boost immunity via direct injection, with minimal side effects. Users who reposted Lewis H. Bender, Founder/CEO, Intensity Therapeutics (IntensityTherapeutics.com); starting in his basement, Lew and his team have created unique cancer penetrating drugs that kill tumors and boost immunity via direct injection, with minimal side effects. Playlists containing Lewis H. Bender, Founder/CEO, Intensity Therapeutics (IntensityTherapeutics.com); starting in his basement, Lew and his team have created unique cancer penetrating drugs that kill tumors and boost immunity via direct injection, with minimal side effects. 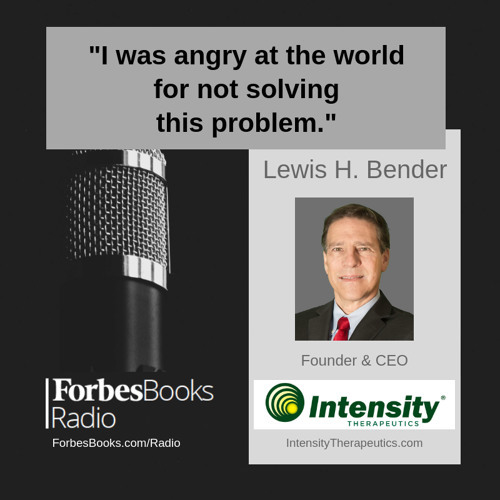 More tracks like Lewis H. Bender, Founder/CEO, Intensity Therapeutics (IntensityTherapeutics.com); starting in his basement, Lew and his team have created unique cancer penetrating drugs that kill tumors and boost immunity via direct injection, with minimal side effects.